The Eureka City Council will take a first look at the 2017-2018 budget on Tuesday and examine possible customized approaches to the recent legalization of recreational marijuana rather than having the state’s default regulations apply inside city limits. But before tacking those weighty items, the council will discuss ward redistricting during a 4:30 p.m. special meeting. 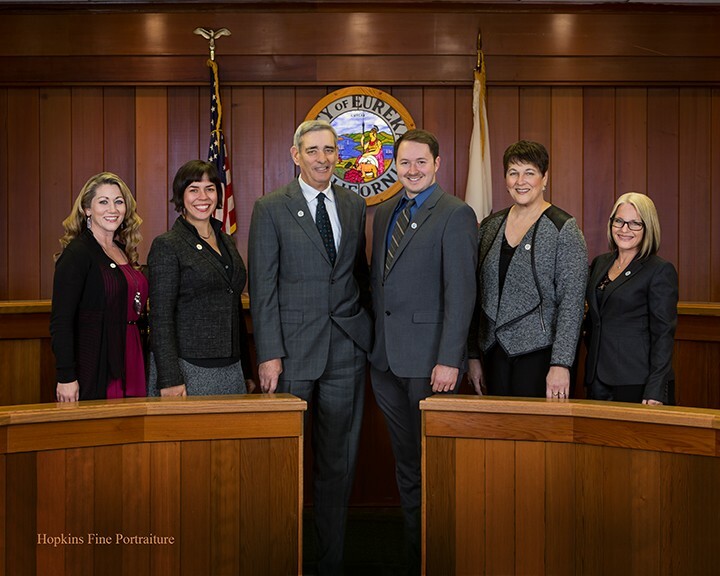 Following the passage of Measure P in November, future councilmembers will be elected by the residents of individual wards rather than a citywide vote. To make sure each of Eureka’s five wards has an even population, the city will now need to examine the boundaries — which were last redrawn some 40 years ago. A majority of the city’s $28.4 million general fund in the upcoming fiscal year — about half of the $57.7 million total operating budget — is proposed to go toward public safety, with the Eureka Police Department receiving $13.1 million and Humboldt Bay Fire $6.6 million. Parks and Recreation is slated to receive $3.9 million and Public Works is budgeted at $1.14 million. Overall, the spending plan is a 2 percent increase over last year’s budget, which also saw a bit of a bump after several lean years that necessitated painful cuts to a number of departments. But the majority of that extra $1 million is slated to cover increases in “pension, health insurance and transit related costs,” Sparks wrote. According to a staff report by Community Development Director Rob Holmlund, the council has until January of 2018 to come up with customized regulations or the general state guidelines will go into effect in Eureka. Another factor, according to the staff report, was a lack of clarification from the governor or the state Legislature on how to remedy conflicts between medical and recreational pot regulations. “Accordingly, staff needs direction from council this month in order to beat the timeline and have custom regulations in place by January of 2018,” Holmlund’s report states. Staff recommendations for personal grow regulations on recreation marijuana generally coincide with existing ones for medical pot. Proposed rules include a maximum of 50-square-feet of inside cultivation space per residence, a limit of six plants, a ban on outdoor grows and a requirement that no exterior evidence of a grow be visible from public areas. On the commercial licensing side, staff is recommending that the council consider banning commercial cultivation and sales of non-medical adult use marijuana anywhere in the city. Most other aspects of the commercial side, including manufacturing, testing transportation and distribution of recreational marijuana and related products would fall under the same regulations currently applied to its medical counterpart, including zoning restrictions. Thanks to City Clerk Pam Powell’s efforts to make city business more transparent and accessible to the public, agendas and the accompanying background materials are now available for review days earlier, generally the Wednesday before regularly scheduled council meetings. Find the full agenda and access staff reports for Tuesday's meeting here.